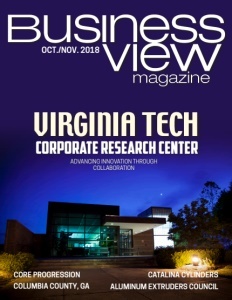 Business View Magazine interviews Adam Mazzella, Sheffield Metal’s VP for Sales, Marketing & New Business, as part of our focus on best business practices. 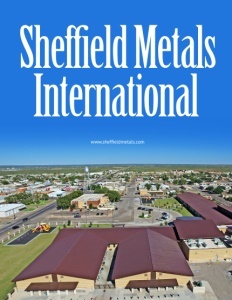 Sheffield Metals International is a leading manufacturer and distributor of coated steel and bare metal products for standing seam metal roof and wall systems. The company specializes in providing Galvalume, a zinc and aluminum alloy-coated steel, as well as aluminum coil for the architecturally driven metal panel industry, in addition to a full line of metal roof accessories, equipment, and components. Sheffield Metals has the ability to meet a wide array of needs with more than 50 colors, continuously stocked in both Galvalume and galvanized steel, as well as several popular colors in aluminum coil. Sheffield Metals is part of the Mazzella Group, which has a dozen different companies in three main divisions. Its Crane Division includes: Progressive Crane, Mazzella Crane Services, KCI Crane Service, and FHS – Overhead Cranes, Hoists, Conveyor Systems & Storage Racks. The Rigging Division includes: Mazzella Lifting Technologies, J. Henry Holland, Tennessee Sling Center, Indusco Wire Rope & Supplies, Alabama Sling Center, and Rouster Lifting & Rigging. The Metals Division includes Sheffield Metals International, and New Tech Machinery. “My grandfather, Antonio Mazzella, started our parent company in 1954,” says Adam Mazzella, Sheffield Metal’s Vice President for Sales, Marketing & New Business. “It was a lifting and rigging company that manufactured wire rope slings for industrial applications. My father, Tony, came into the business in 1977, and steadily grew it over time.” According to Adam, Tony bought Sheffield Metals from its former owner in 2004, and hired Mike Blake, the company’s current President, to run it for him. At that time, the company had two locations – Atlanta, Georgia and Sheffield Village, Ohio, a suburb west of Cleveland. Today, Sheffield Metals has about 60 employees working out of its five locations. The company’s geographic footprint covers the entire continental U.S., plus Alaska and Hawaii. It also does some business in Canada, Mexico, and the Caribbean. “Metal roofing is very popular in the Caribbean because it does very well in tropical storms and hurricanes,” Adam notes. Check out this handpicked feature on Somat Engineering, Inc. – A fascination with infrastructure.